Apple cake dry mixes from a box are easy and convenient. But what if you could make it yourself for a lot less money? This Easy Apple Cake is one of the easiest and most delicious homemade cake recipes you can find. Along with how easy this recipe is, this dry mix requires no oil. I guess you could technically call this a "low fat" cake. Now this cake stands alone beautifully without any topping. But, to take this cake to the next level, top it with the browned butter cinnamon glaze. 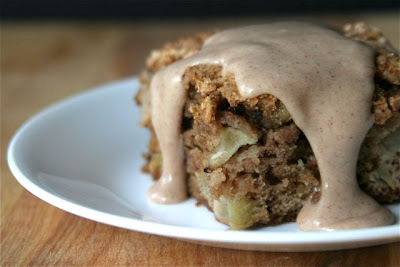 You can find my recipe for Easy Apple Cake over at Recipe Lion. I have a ton of apples, so I'm going to make this today! Thanks for posting. And, as always, love your photo.